Two outlaws in possession of a Prototype battleship they re-purposed into their very own pirate vessel. Heading a crew of around 80 angry, violent pirates that are all fiercly loyal to their Captain and his second in command. Hara is what is known as a Mandi-har (Dark Child in his own language). A race of xenopohibic, nomadic and violent humanoids who's main means of income is piracy. Hara is a half-blood however, his father some human he never met. As such, he was considered a taint on his mothers bloodline and spent his life as less then nothing in the eyes of "his people". 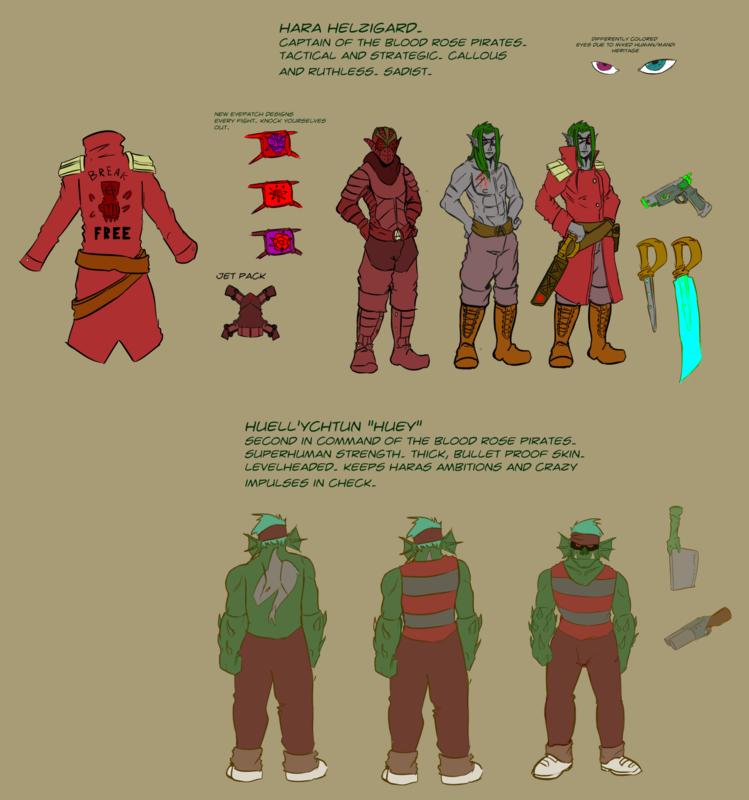 Huey is a Nautilan, a race of amphibious, hardskinned humanoids that the Mandi-Har and other races often employ or downright enslave for manual labor. He and Hara met as kids when they were both vent-runners, forced to clean and repair the ventelation system from the inside were adults could not reach. The two are basically brothers by this point and have only relied on each other.